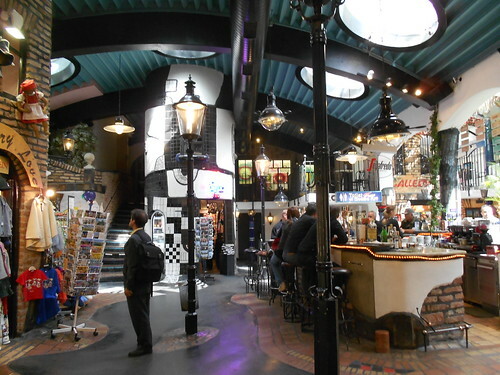 Across the street from the Hundertwasserhaus is this little mall that features a bar in the atrium. 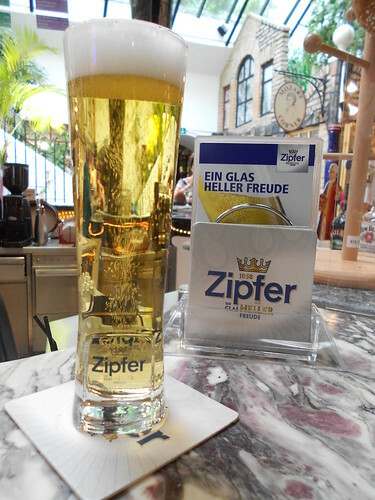 I drank a Zipfer Original. "Heller Freude" means "Bright Joy" in English. 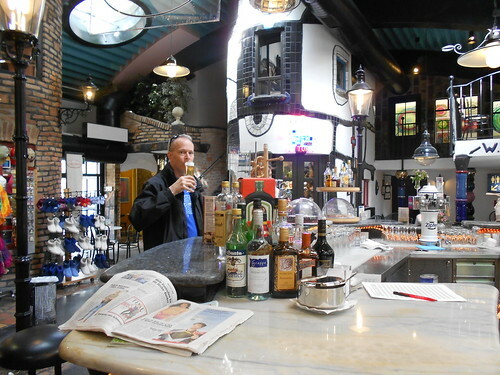 Did you notice the page three girl in that photo? 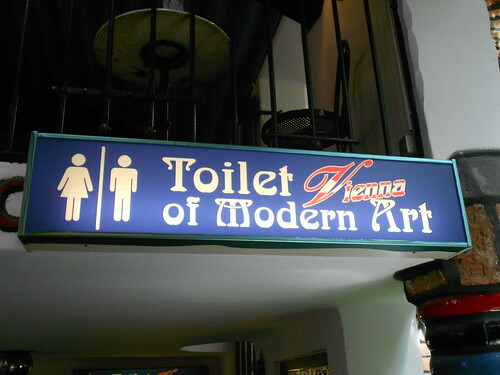 The toilets were interesting, though I'm not sure I'd go so far as to call them a work of art.